Filing for Texas bankruptcy protection can be a useful tool when facing seemingly insurmountable debt. When working with a Texas bankruptcy attorney, you can effectively stop foreclosures, repossessions, debt collection attempts, termination of your utilities, and even reinstate your Texas Driver’s license. 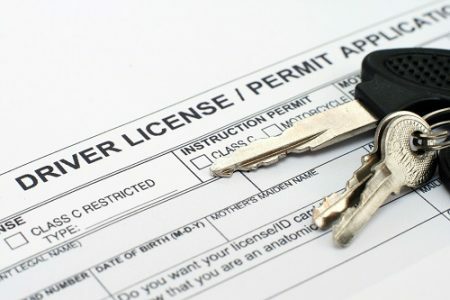 While there are a few situations which can bar you from getting your Texas Driver’s license back using bankruptcy, in most cases you can not only resume your driving privileges, but you may also be able to legally discharge unsecured debt such as credit card debt and hospital bills at the same time. The two common reasons for having a Texas Driver’s license suspended are failing to pay a judgment from an accident that occurred while driving uninsured and not paying a traffic citation. There are a few instances where you won’t be able to discharge the debt in a Texas bankruptcy case. These include fines associated with criminal charges such as court fines or criminal restitution. Moreover, if you caused personal injury due to operating a motor vehicle while intoxicated, you must pay back this debt before you can obtain a bankruptcy discharge. A Texas bankruptcy can be used to reinstate your driver’s license by discharging or wiping out the debt associated with your suspension whether it be unpaid fines or an outstanding judgment. It’s important to keep in mind that while you can’t eliminate debt owed to a government entity in Chapter 7, discharging others types of debt using this chapter of bankruptcy can free up cash to pay traffic fines. Alternatively, Chapter 13 bankruptcy can eliminate money you owe for a traffic violation as long as there were no criminal charges. When you eliminate debt associated with your driving privileges using bankruptcy, there is no longer a reason for the suspension, and you can go through the normal to obtain your license once again. If you owe money for either a judgment derived from an accident you caused while driving uninsured or for fees or traffic tickets that you can’t pay, you should contact a Texas bankruptcy attorney. If you act quickly to resolve the debt, there is a chance you can keep your license. If you have already had your driver’s license suspended, a Houston bankruptcy lawyer can help you get it back.